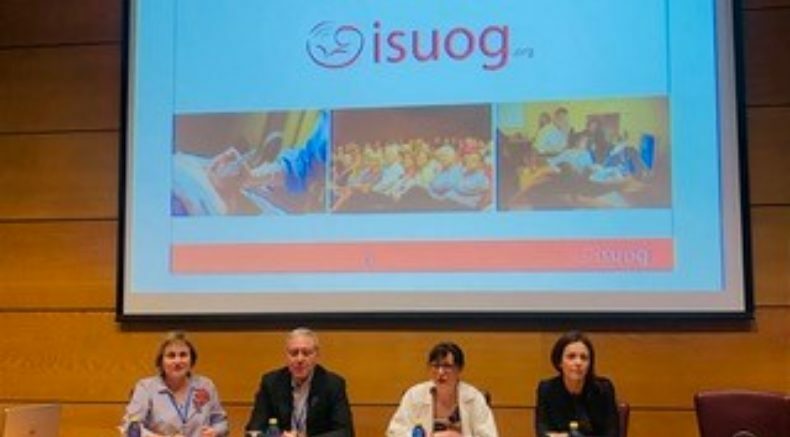 The objective of approved courses is to offer ISUOG’s official endorsement to quality educational programs in ultrasound in obstetrics and gynecology. 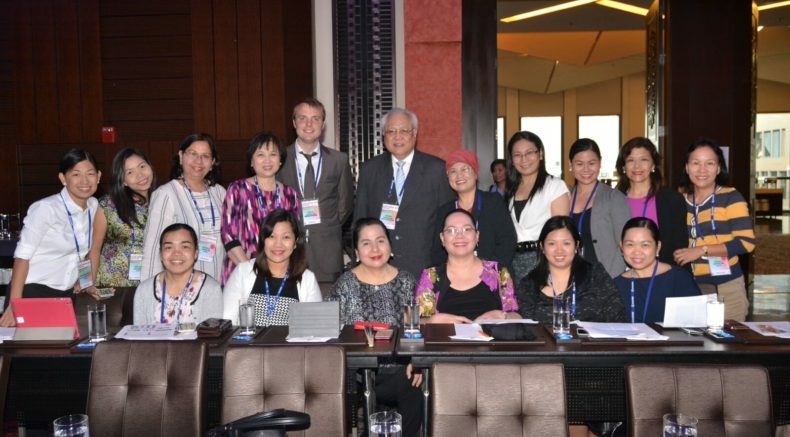 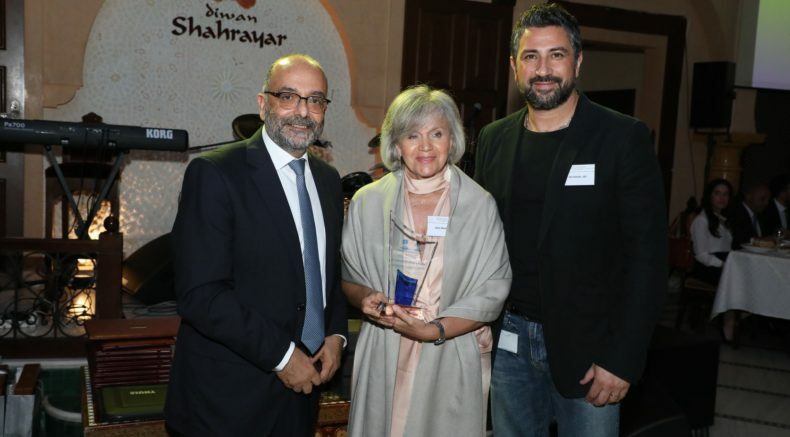 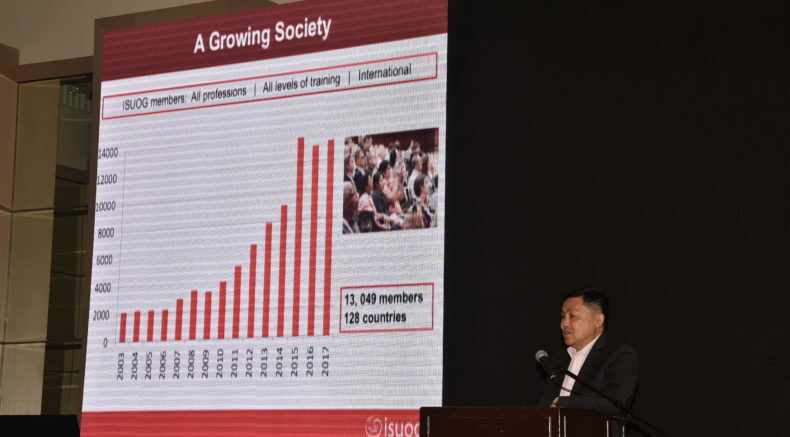 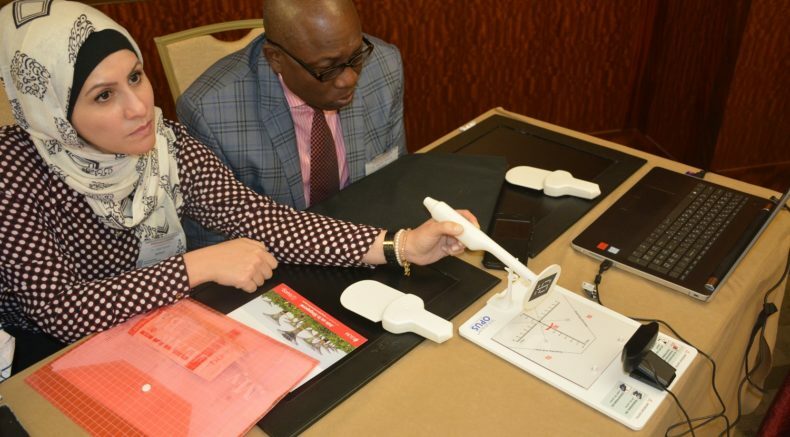 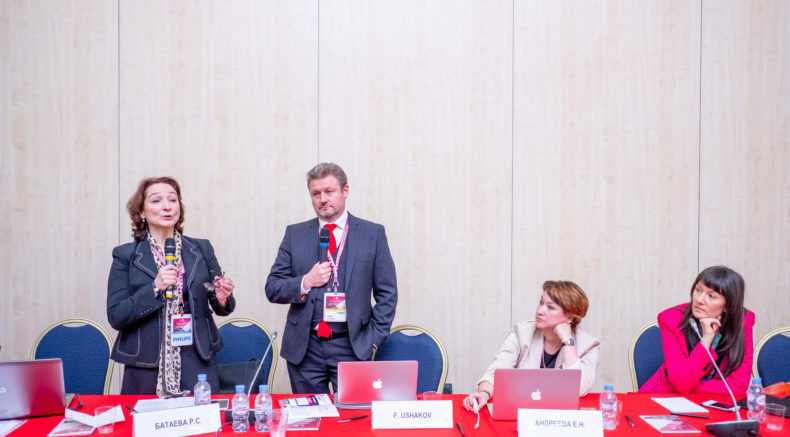 In so doing, ISUOG aims to encourage international liaison in education and to identify an internationally acceptable standard for further education in the field. 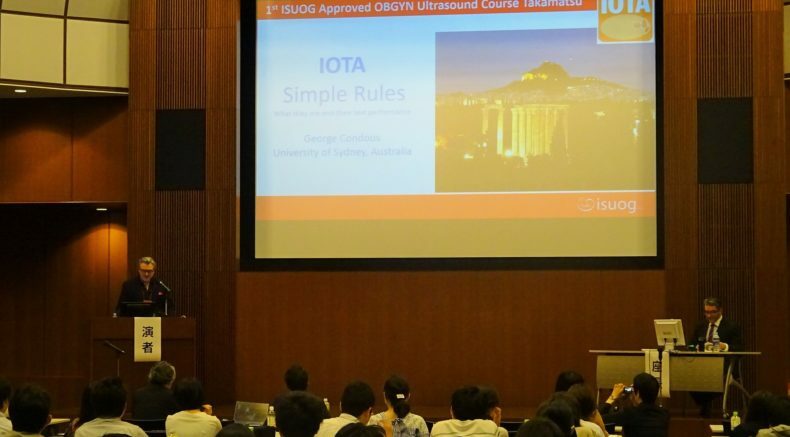 Any individual member of ISUOG, organising courses or training programs in ultrasound in obstetrics and gynecology, or perinatal medicine, may apply for ISUOG approval of their course or program. 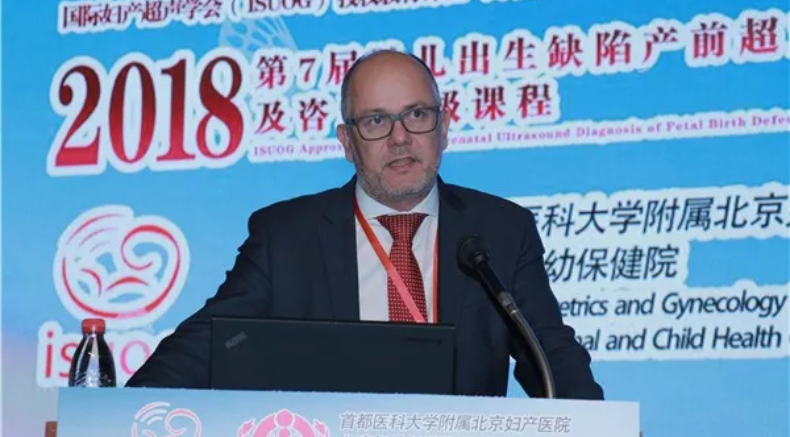 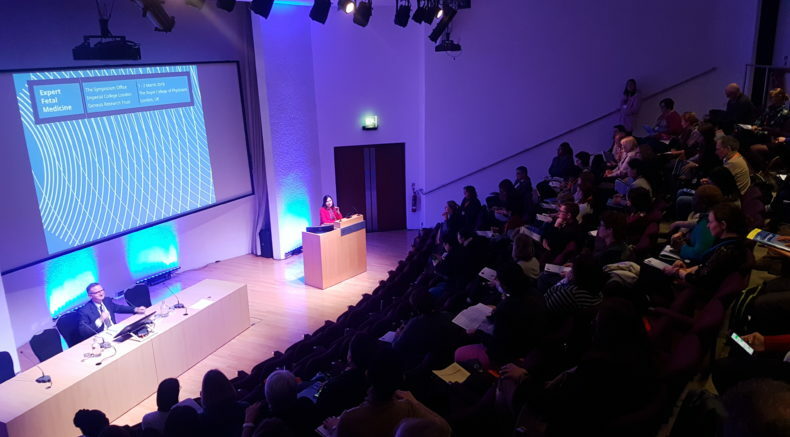 The courses are organised independently of the Society but, provided they fulfil the requirements outlined below, can be formally recognised by ISUOG for their quality and educational value to ultrasound in obstetrics and gynecology. 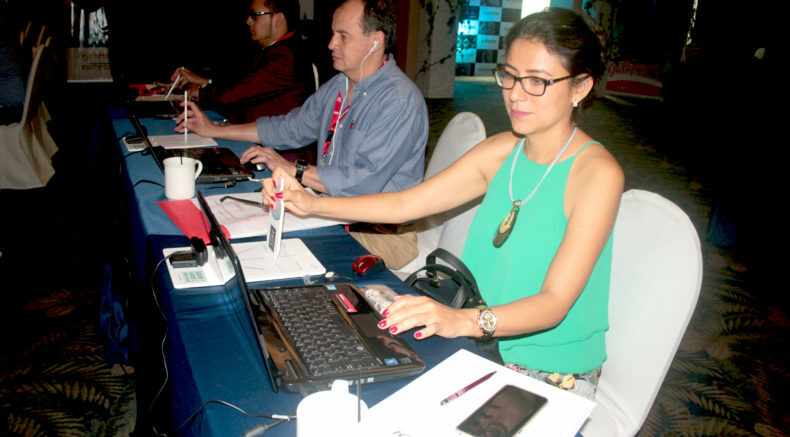 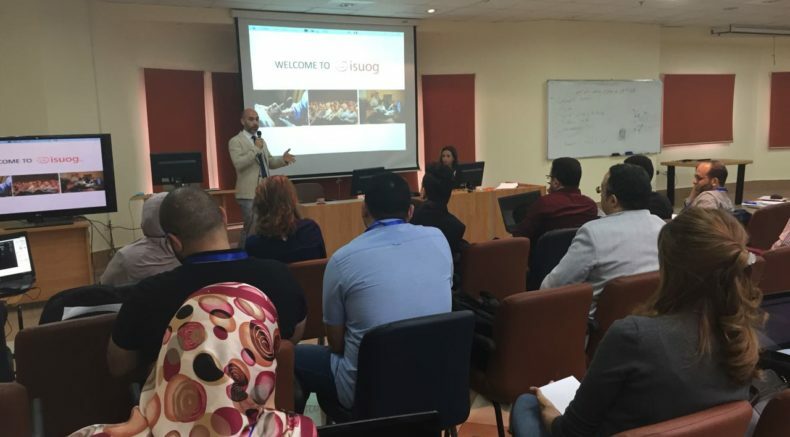 The course can take place in any language as long as translation of the program is provided in English for approval. 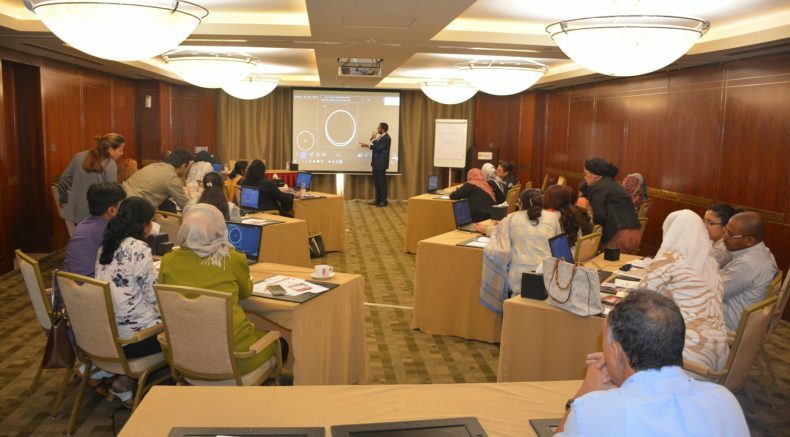 Course formats can be developed together with the person(s) in charge of the local organisation. 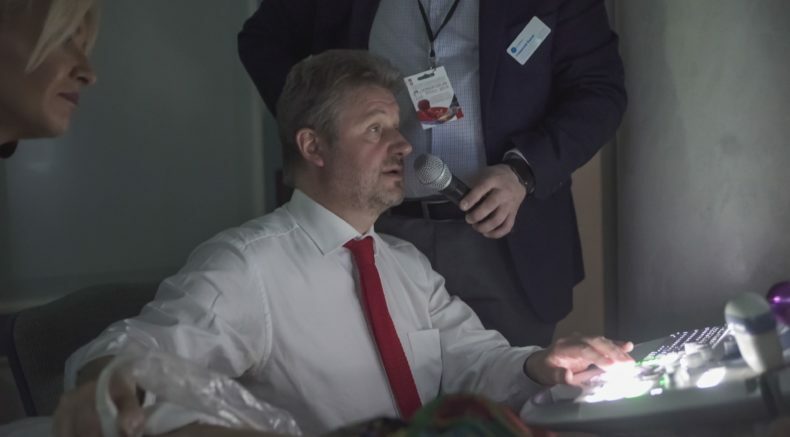 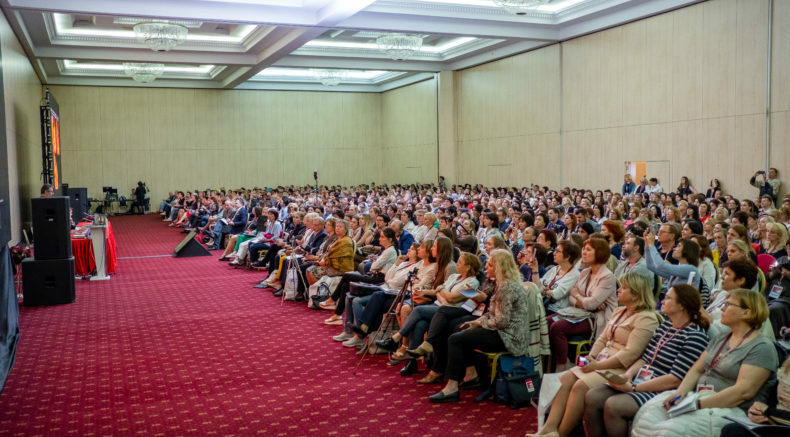 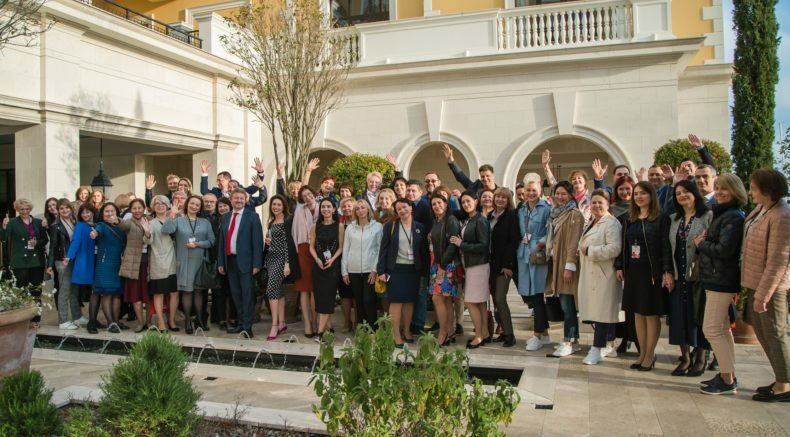 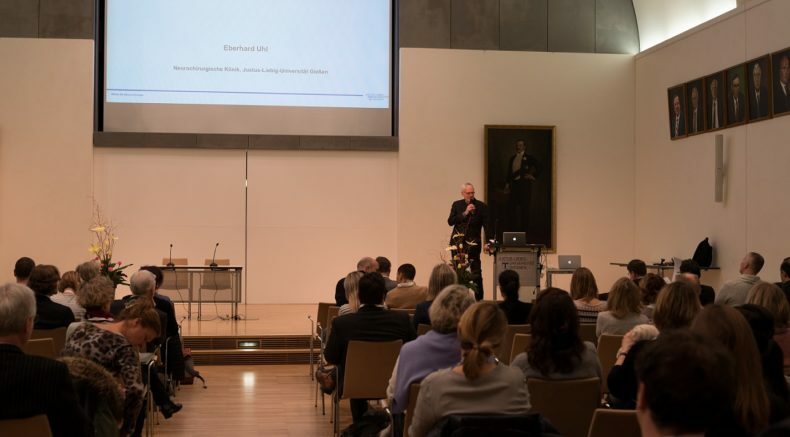 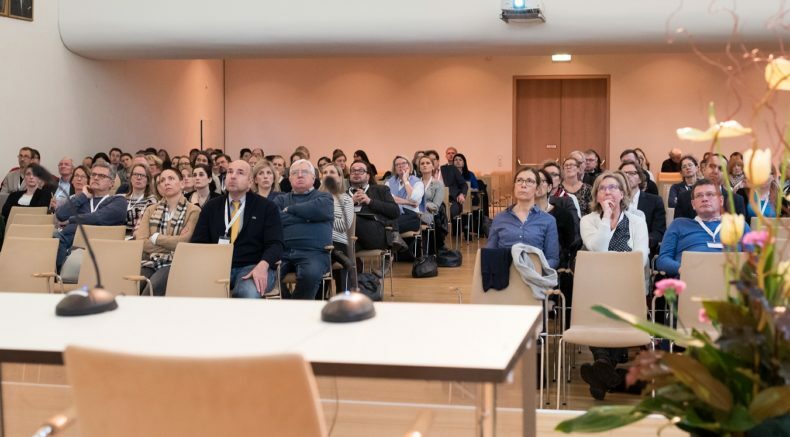 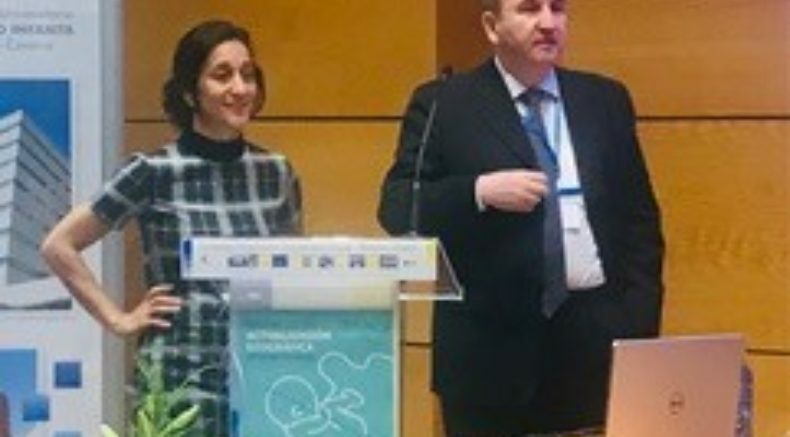 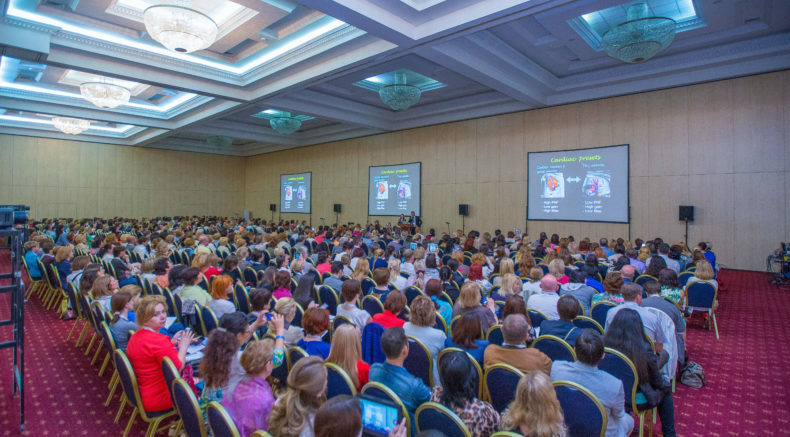 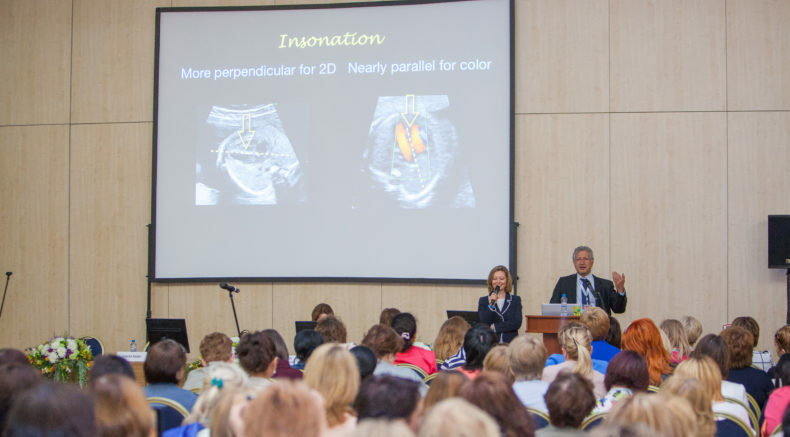 Fred Ushakov, ISUOG Ambassador to Russia, Eastern Europe and Central Asia, at the SONOFORUM 2019 Early Diagnosis of Fetal Anomalies: Advances and Future Approved course, April 2019. 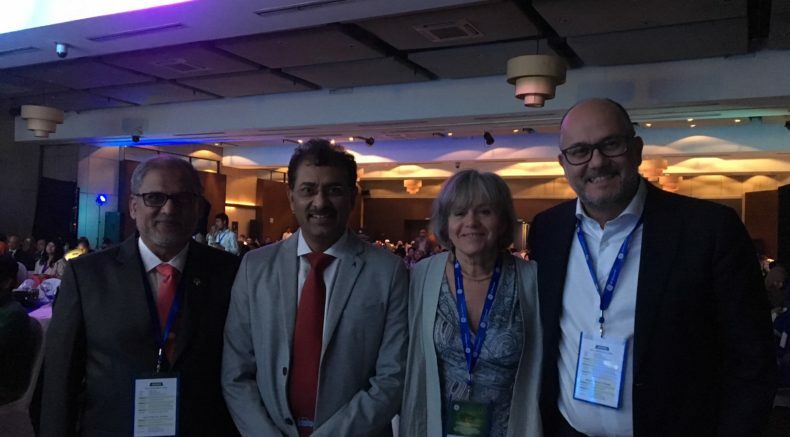 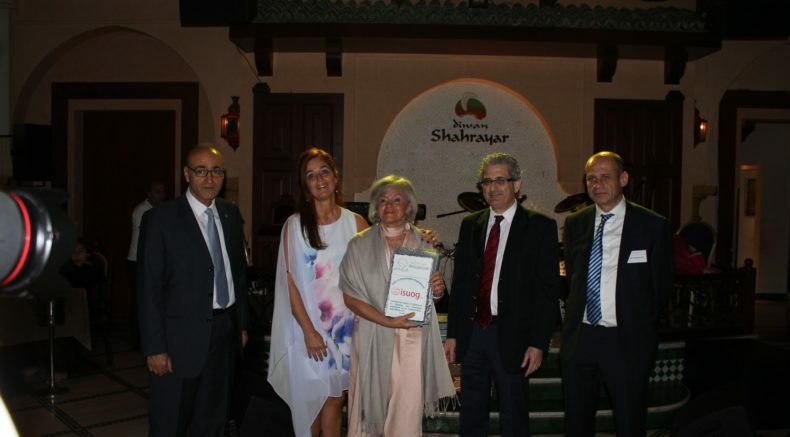 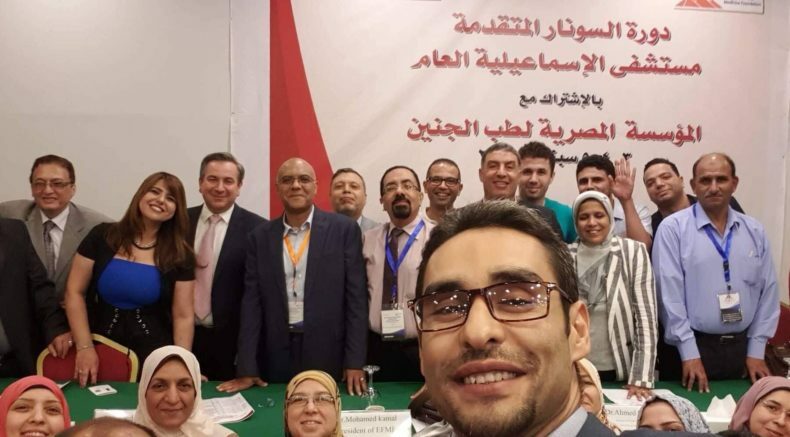 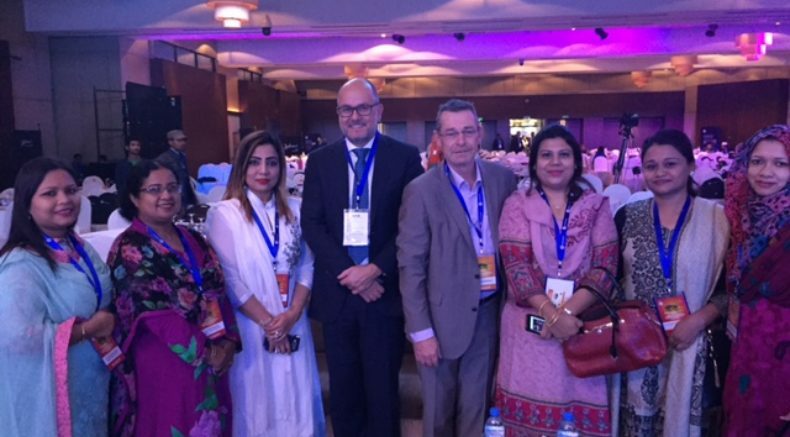 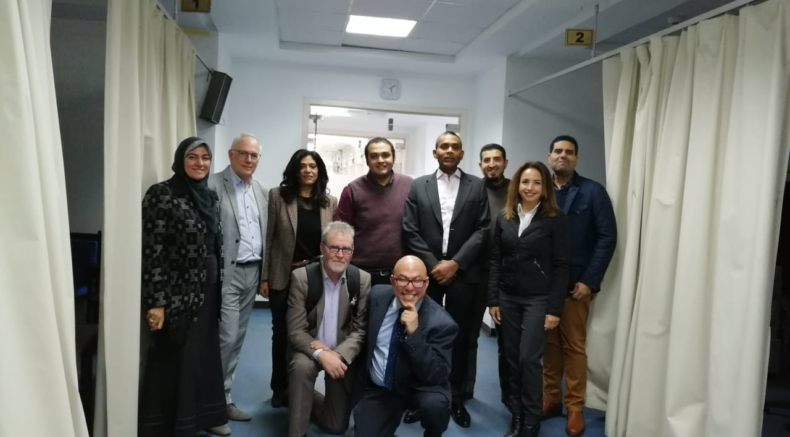 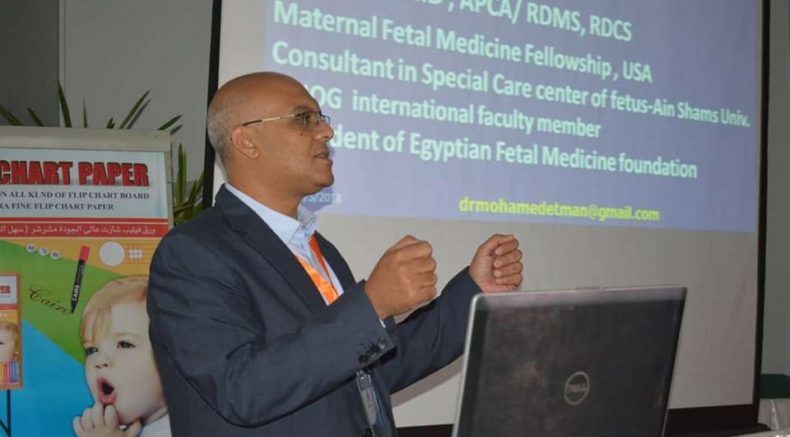 ISUOG Faculty members including Prof Basky Thilaganathan and Prof Rasha Kamel at the 'Joint Fetal Medicine Course' approved course in Cairo (Egypt), March 2019. 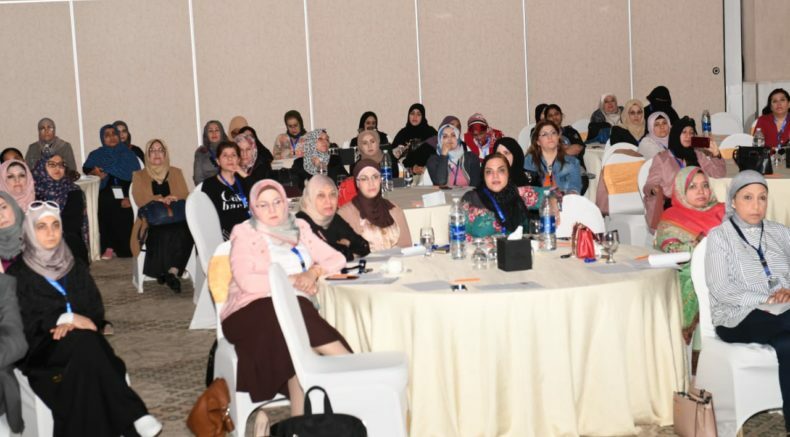 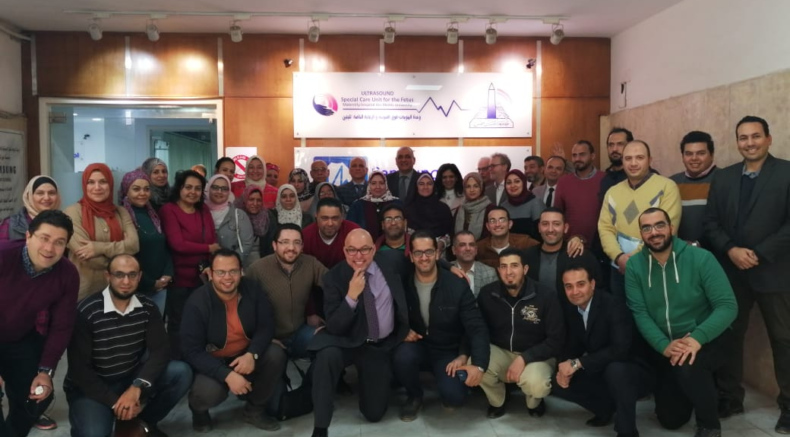 Delegates at the ISUOG Approved course 'Joint Fetal Medicine Course' in Cairo (Egypt), 4-6 March 2019. 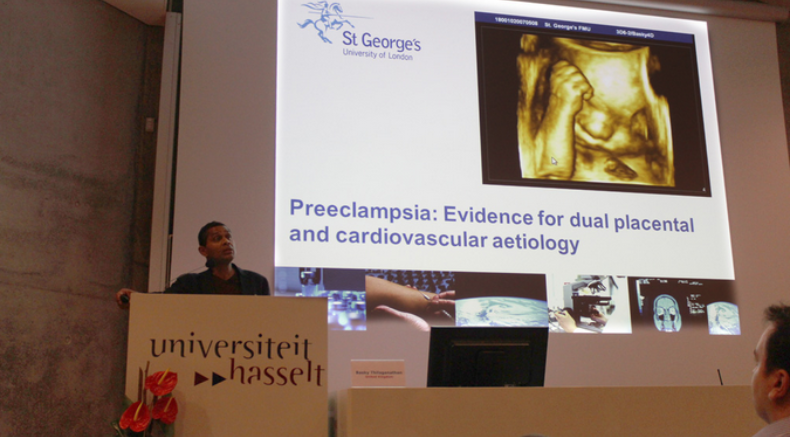 ISUOG International Faculty member Dr Waldo Sepulveda speaking at the approved course 'Update on First Trimester Ultrasound' in Gran Canaria, 7-8 February 2019. 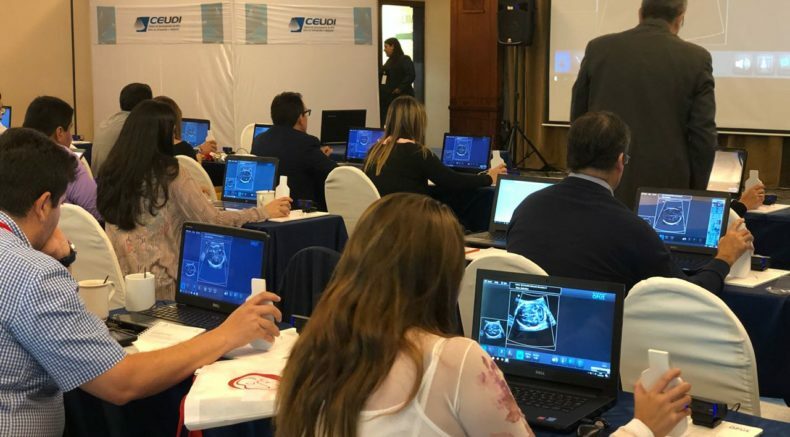 ISUOG Approved course 'Update on First Trimester Ultrasound' in Gran Canaria (Spain), 7-8 February 2019. 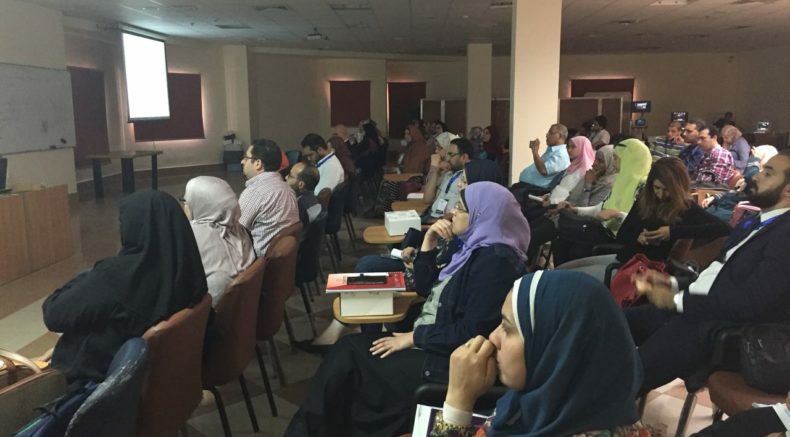 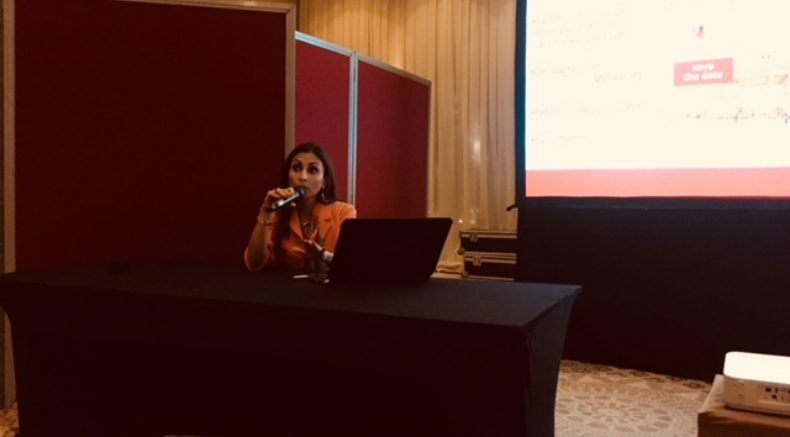 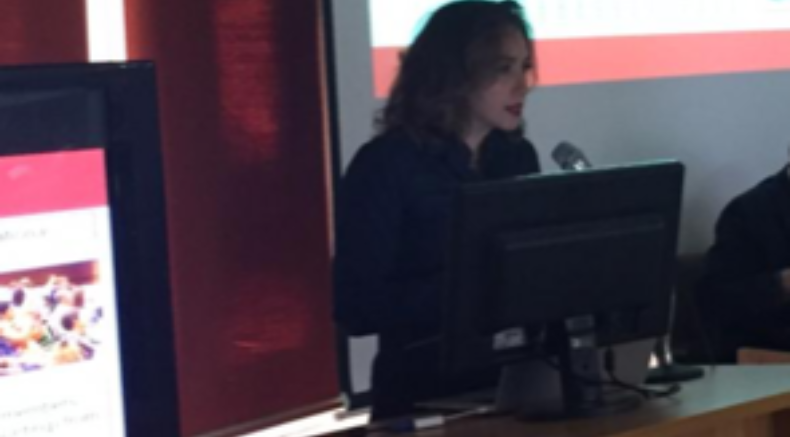 ISUOG Faculty Member Prof Rasha Kamel speaking at the ISUOG Approved course 'Ultrasound in Gynaecology and Infertility' in Cairo (Egypt), 7-8 February 2019. 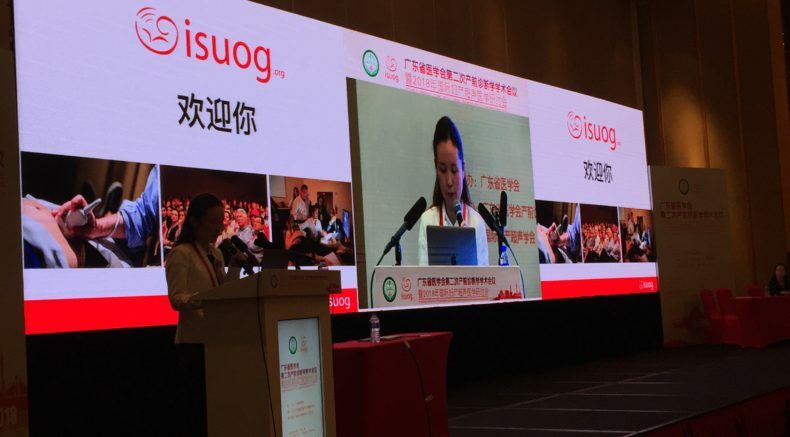 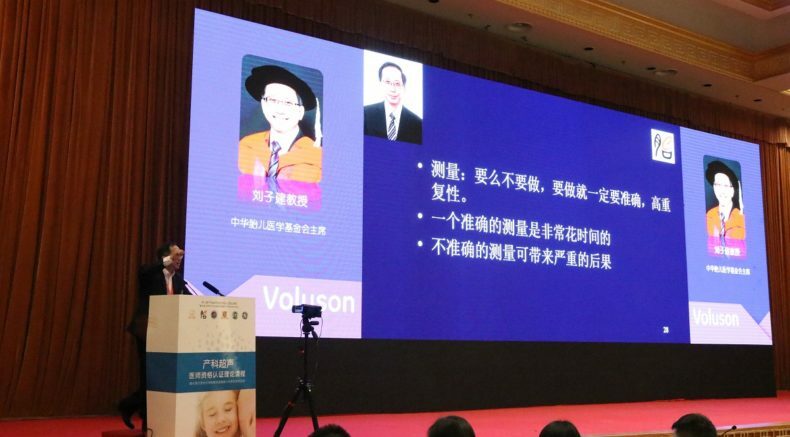 ISUOG Faculty member Dr TK Lau speaking at the Approved course 'The 15th Diploma in Obstetric Ultrasonography' in Hohhot City (China), 22-25 December 2018. 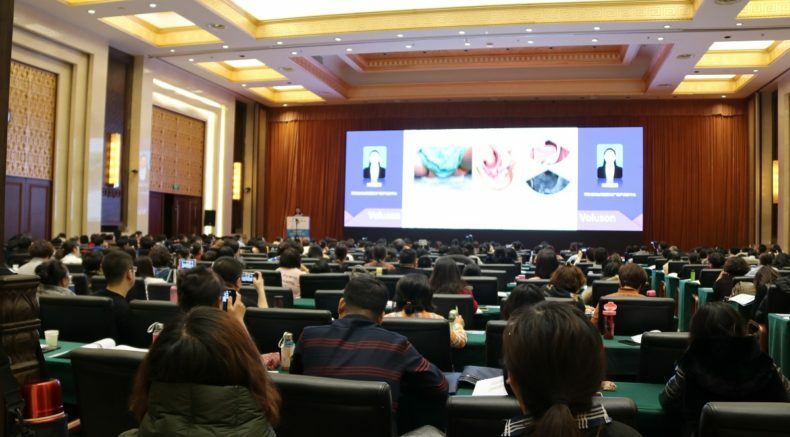 Delegates at the ISUOG Approved course 'The 15th Diploma in Obstetric Ultrasonography' in Hohhot City (China) on 22-25 December 2018. 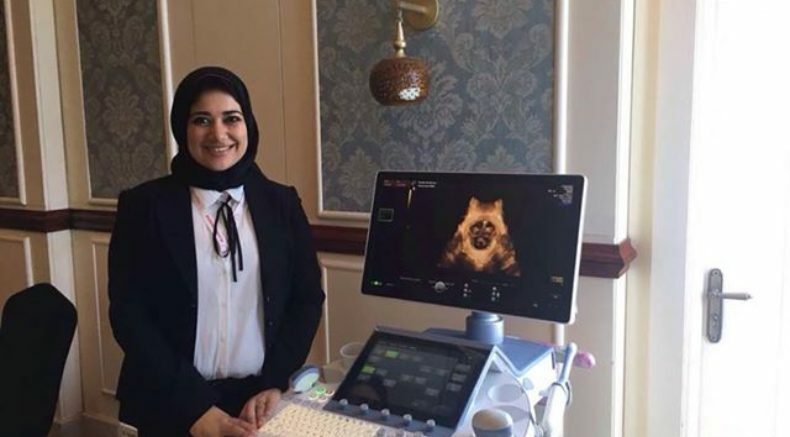 ISUOG Ambassador to Egypt and North Africa Asma Khalil speaking at the 'Obstetrics Ultrasound Course' approved course, Muscat (Oman), 13 December 2018. 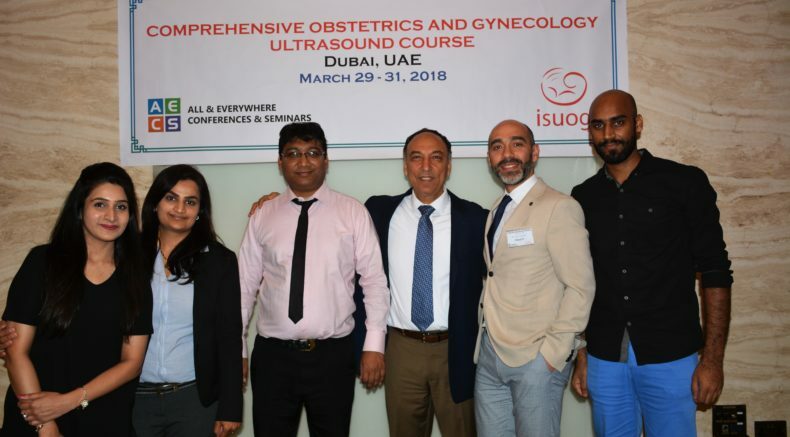 Delegates at the ISUOG Approved course 'Obstetrics Ultrsound Course' in Muscat (Oman) on 13 December 2018. 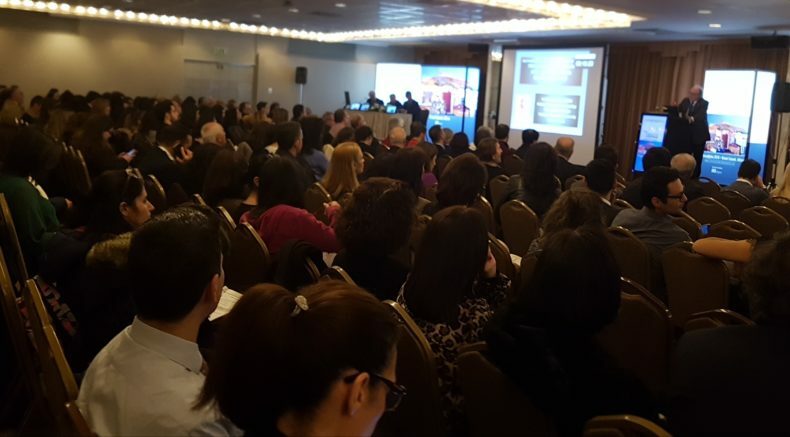 ISUOG Approved Course '7th Hellenic Congress of Ultrasound in Obstetrics and Gynecology' in Thessaloniki (Greece) on 7-9 December 2018. 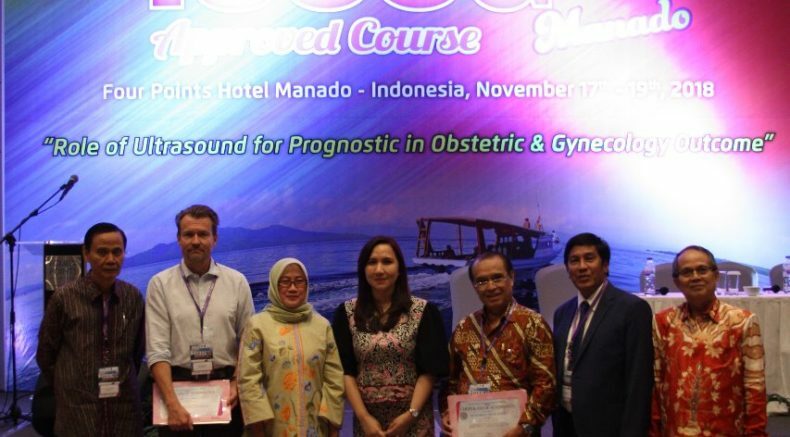 Speakers, including UOG Editor Hans Peter Dietz, at the ISUOG Approved course 'Role of Ultrasound in Prognostic in Obstetric and Gynecology Outcome' in Monado, 17-19 November 2018. 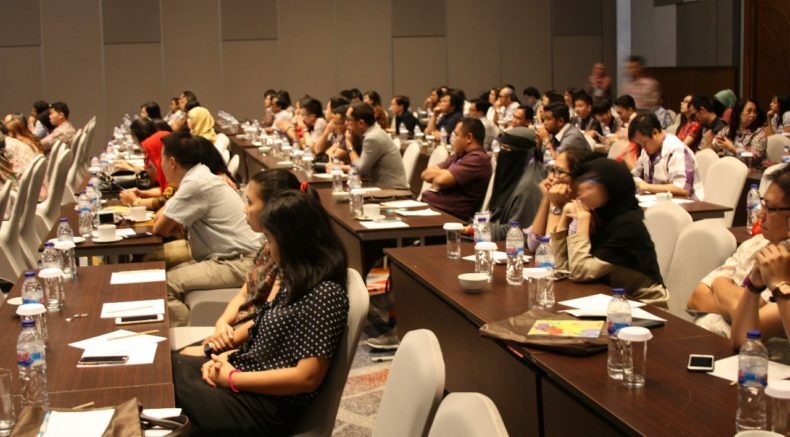 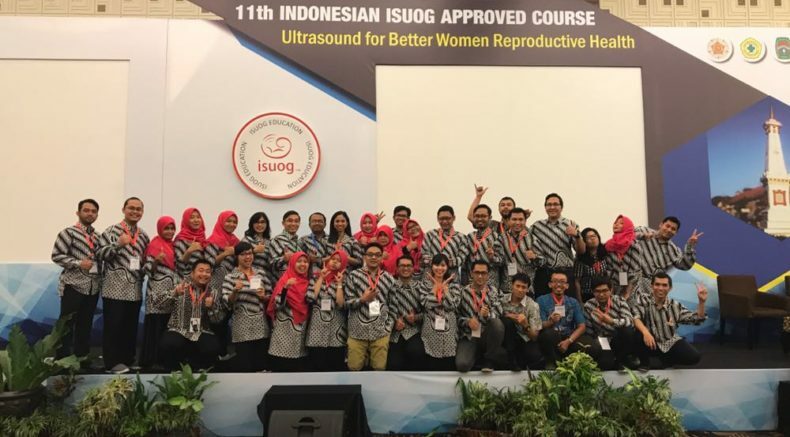 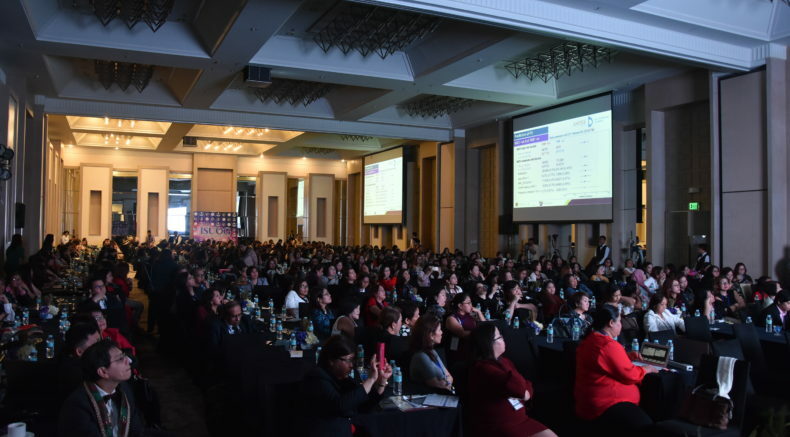 Delegates at the ISUOG Approved course 'Role of Ultrasound for Prognostic in Obstetric and Gynecology Outcome' in Monado (Indonesia) on 17-19 November 2018. 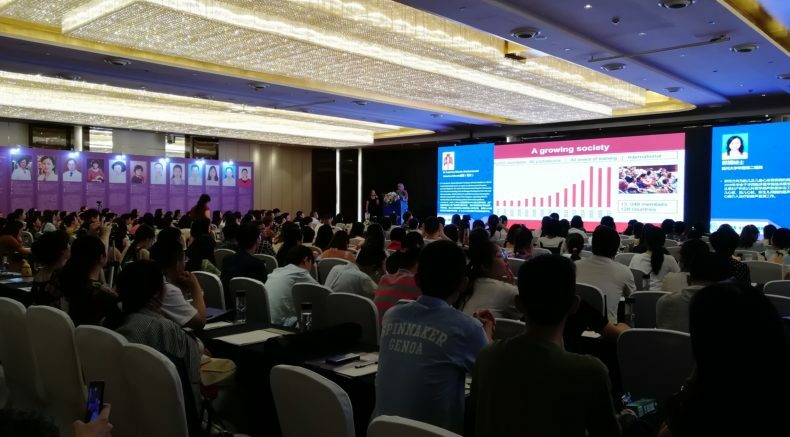 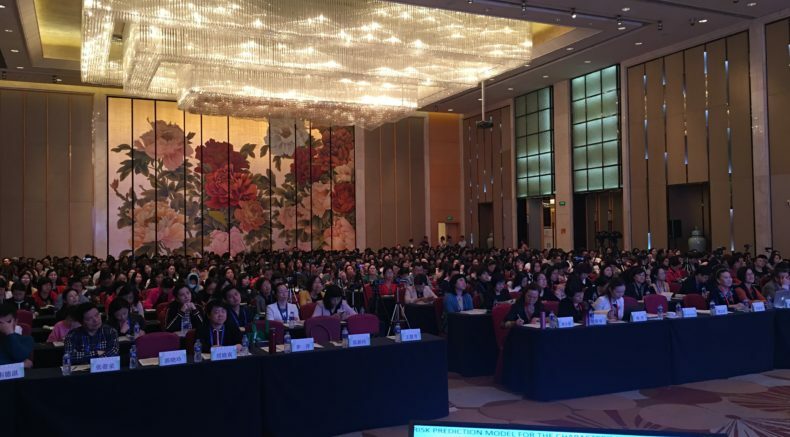 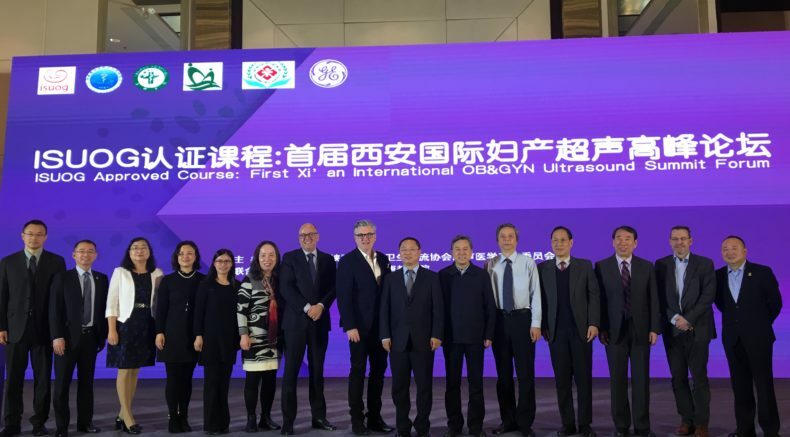 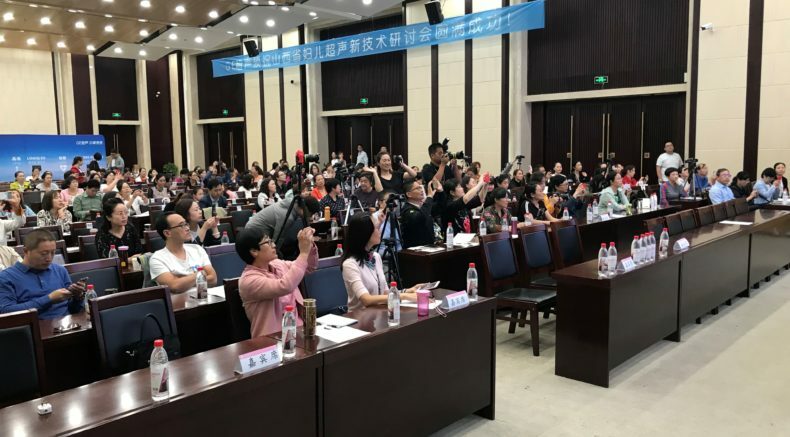 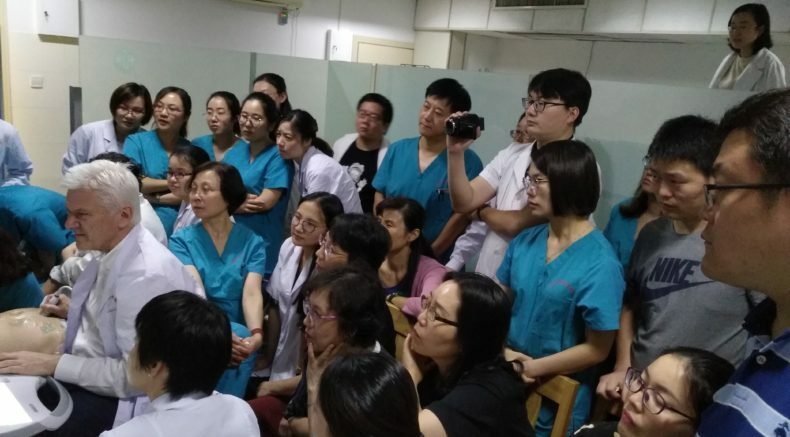 Delegates at the ISUOG Approved course 'Updates on Ultrasound in Prenatal Ultrasound and Gynaecology' in Xi'an (China), 18 November 2018. 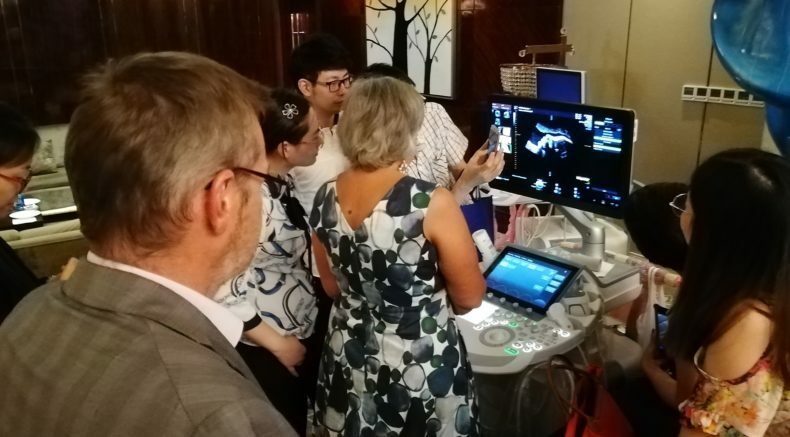 Delegates at the ISUOG Approved course 'Fetal Cardiac Imaging' in Almaty, 01-03 October 2018. 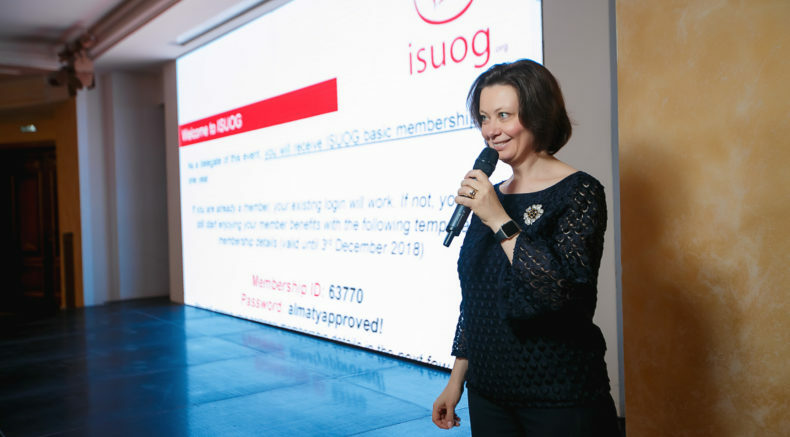 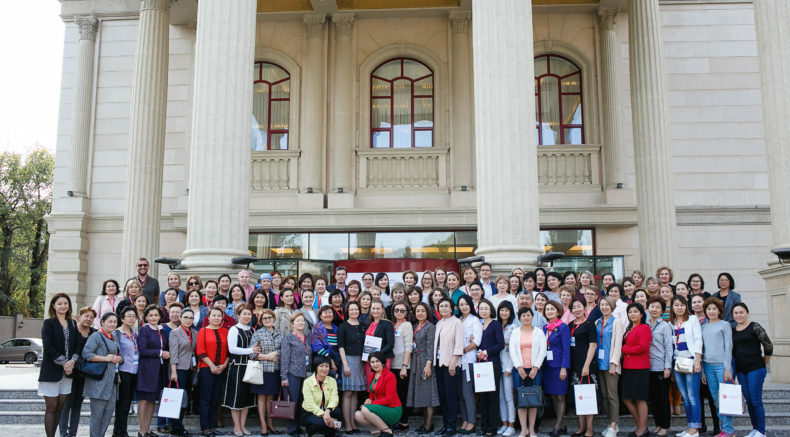 ISUOG Ambassador to Russia Elena Sinkovskaya at the 'Fetal Cardiac Imaging' Approved course, Almaty (Kazakhstan), 01-03 October 2018. 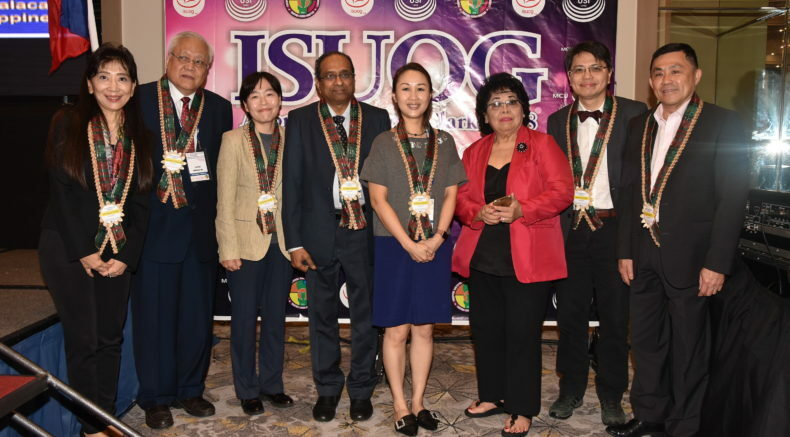 ISUOG Approved Course 'Master Certification in Obstetrics and Gynecology', 27-29 September 2018. 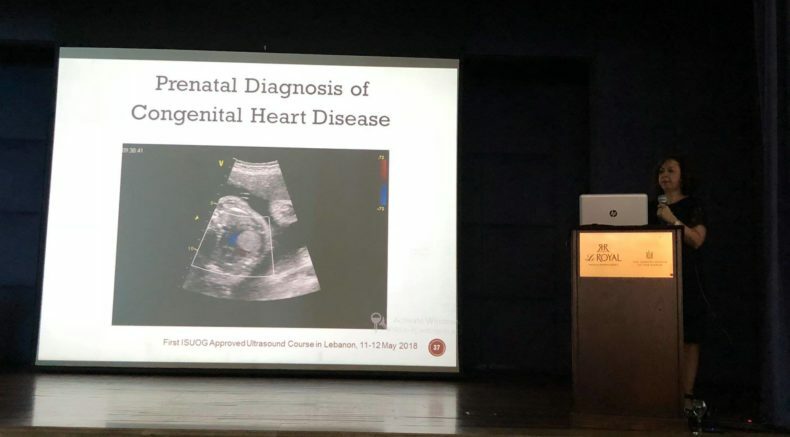 Dr Gihad Chalouhi speaking at the ISUOG Approved Course 'Master Certification in Obstetrics and Gynecology', 27-29 September 2018. 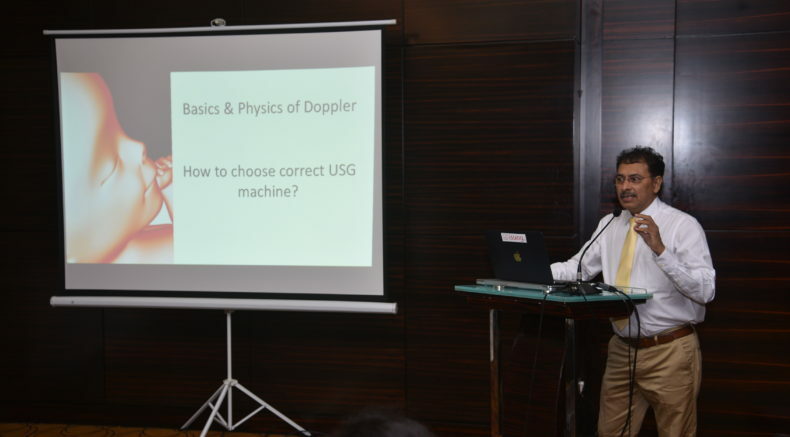 ISUOG Board member, and Ambassador to India and South Asia, Dr Prashant Acharya, at the approved course 'Advanced ISUOG Doppler workshop - Adding colour to life and ultrasound' on 6 September 2018. 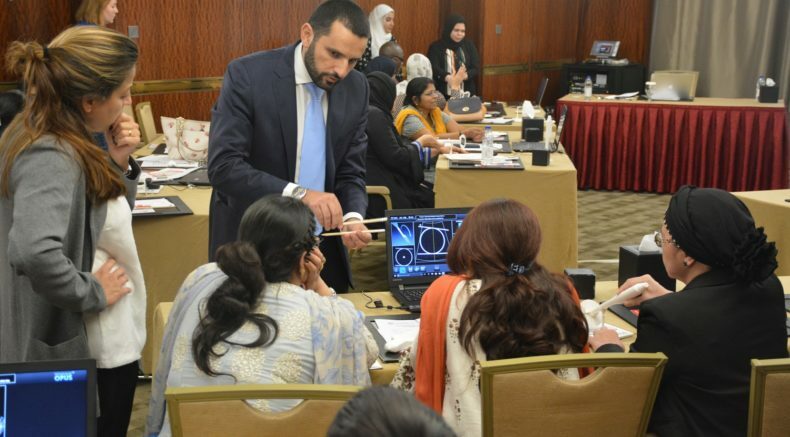 Approved course 'Advanced ISUOG Doppler workshop - Adding colour to life and ultrasound' on 6 September 2018. 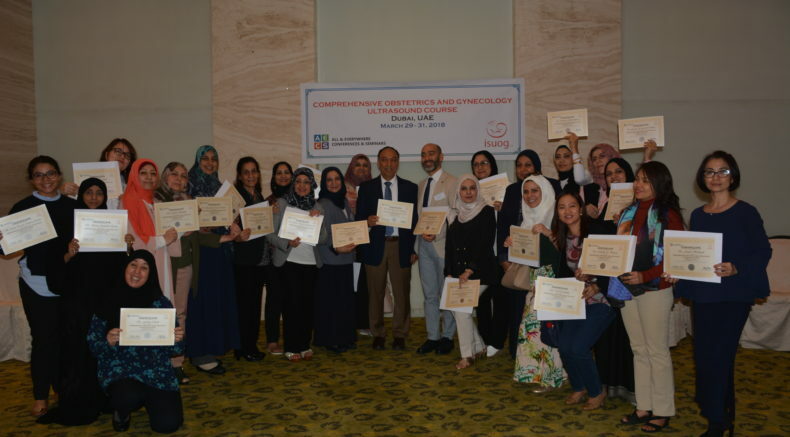 Delegates of the approved course 'Advanced ISUOG Doppler workshop - Adding colour to life and ultrasound' on 6 September 2018. 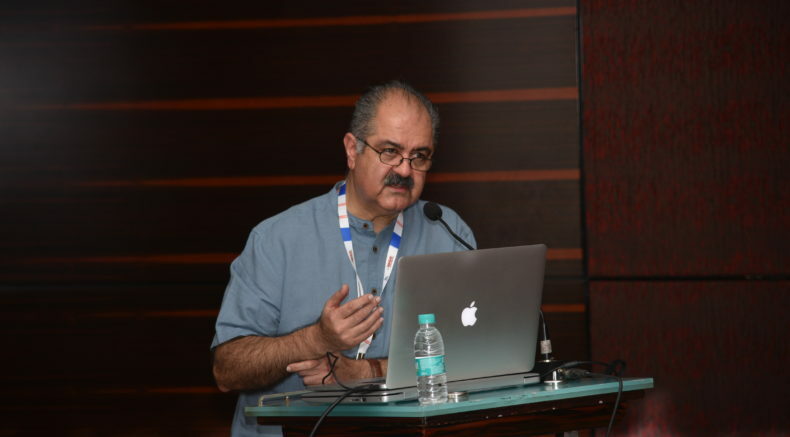 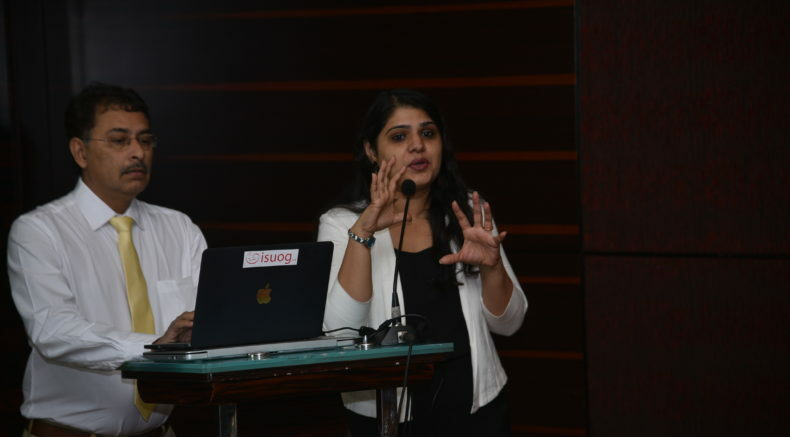 ISUOG Ambassador to India and South Asia, Prof. Ashok Khurana, at the approved course 'Advanced ISUOG Doppler workshop - Adding colour to life and ultrasound' on 6 September 2018. 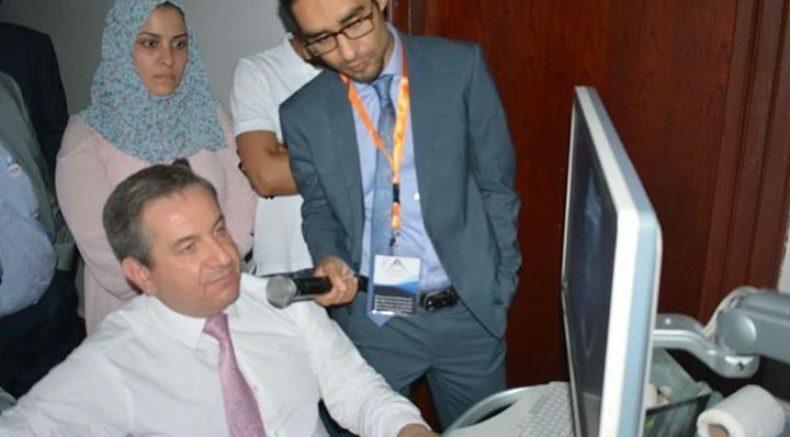 Prof. Nikos Vrachnis at the approved course 'Advanced Ultrasound workshop in OB/GYN', 4-5 September 2018. 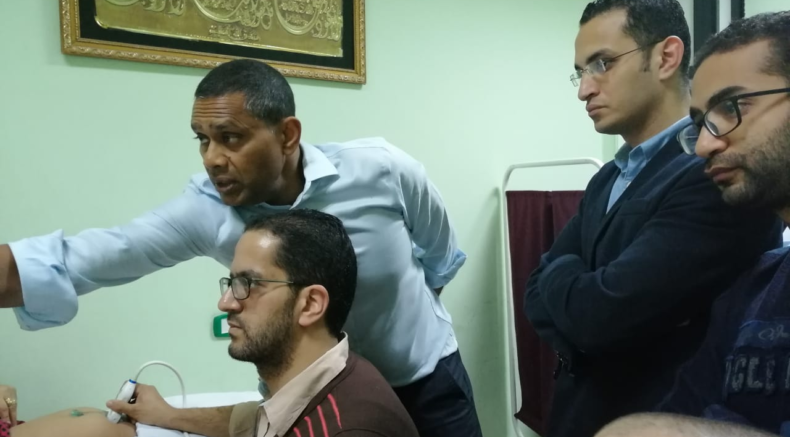 Approved course 'Advanced Ultrasound workshop in OB/GYN', 4-5 September 2018. 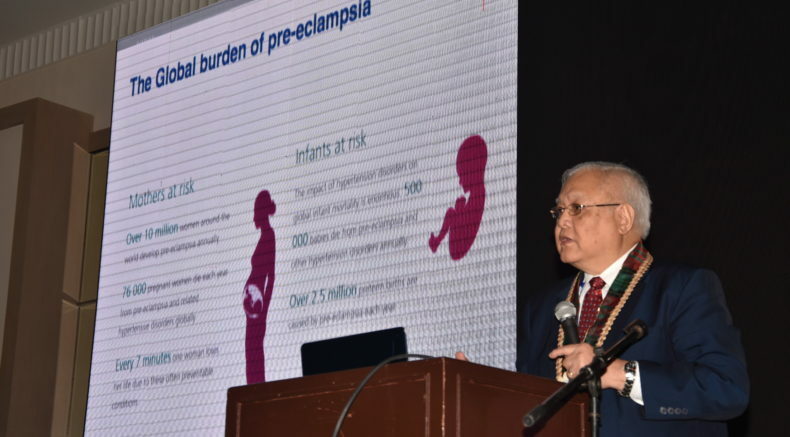 ISUOG Ambassador to the Philippines Dr Walfrido Sumpaico speaking at the ISUOG Approved Course 'Clark 2018'. 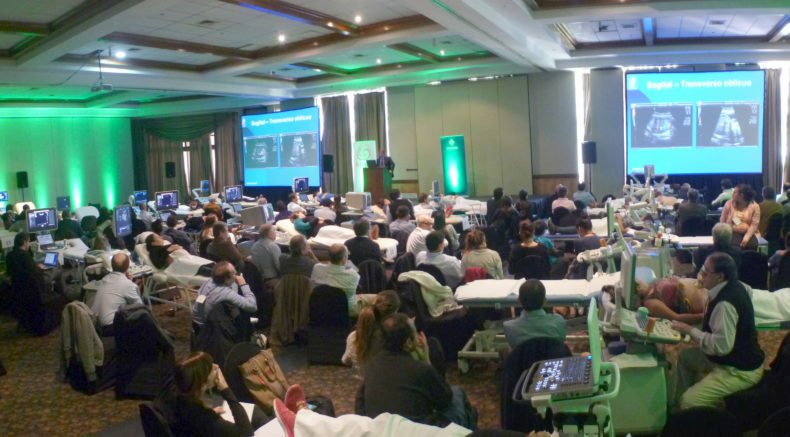 Dr Sumpaico directed this course. 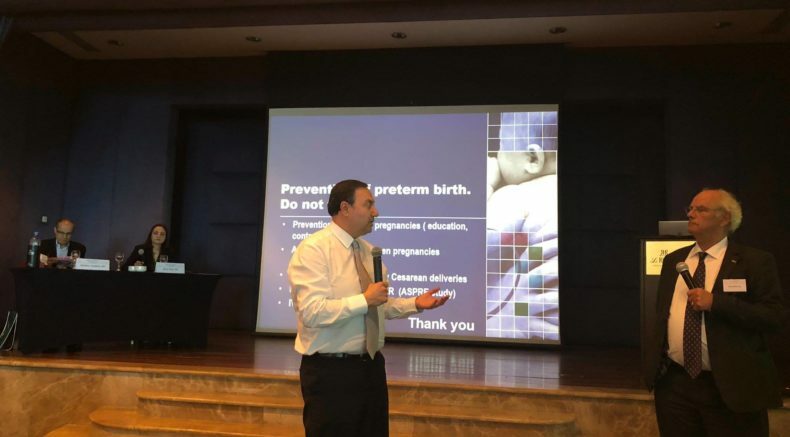 Mr Aris Papageorghiou speaking at the '7th Prenatal Ultrasound Diagnosis of Fetal Birth Defects and Counselling', 11-13 May 2018. 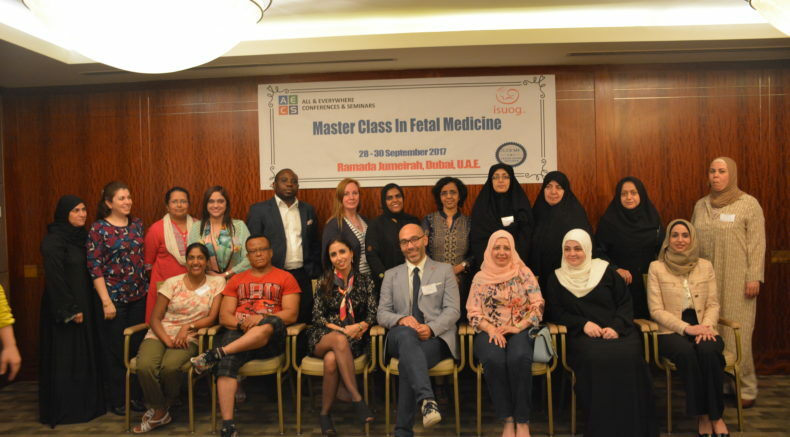 Faculty of the ‘7th Prenatal Ultrasound Diagnosis of Fetal Birth Defects and Counselling' on 11-13 May 2018. 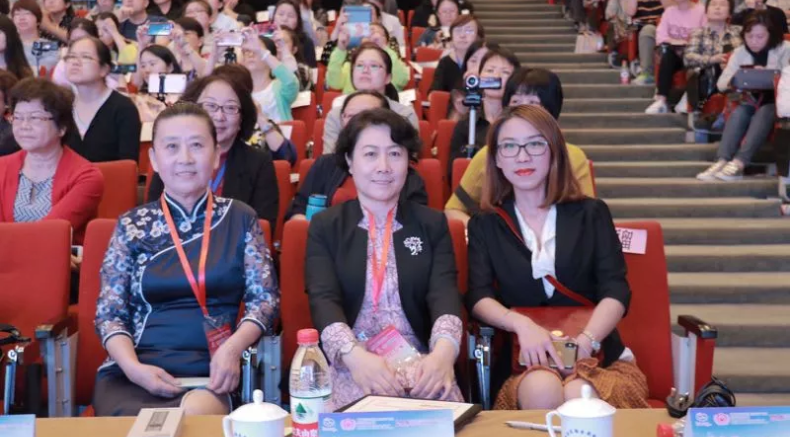 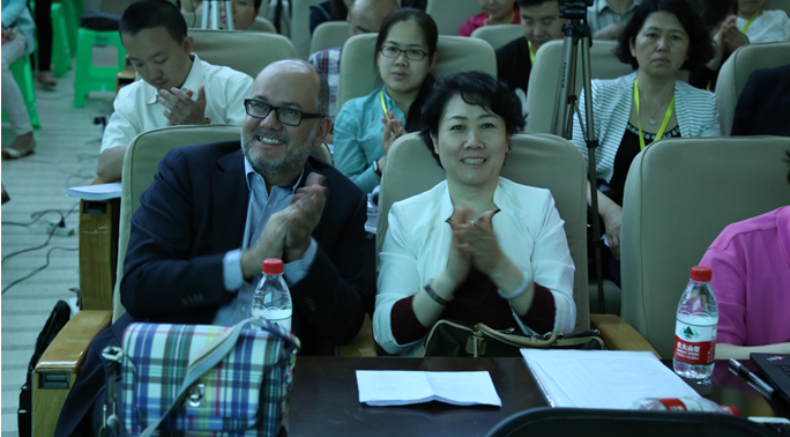 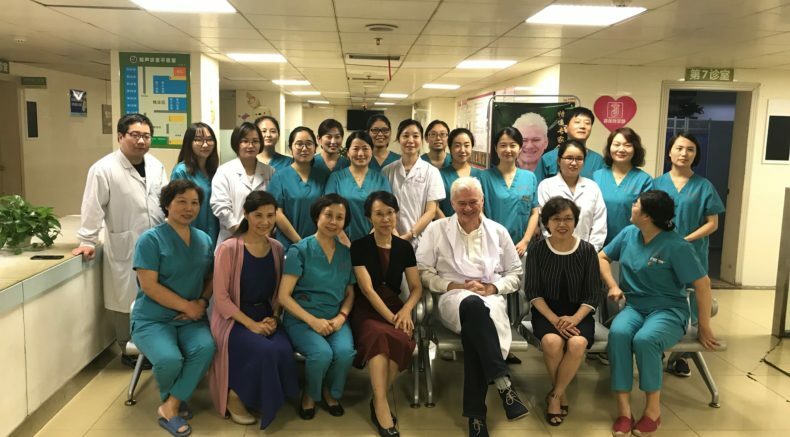 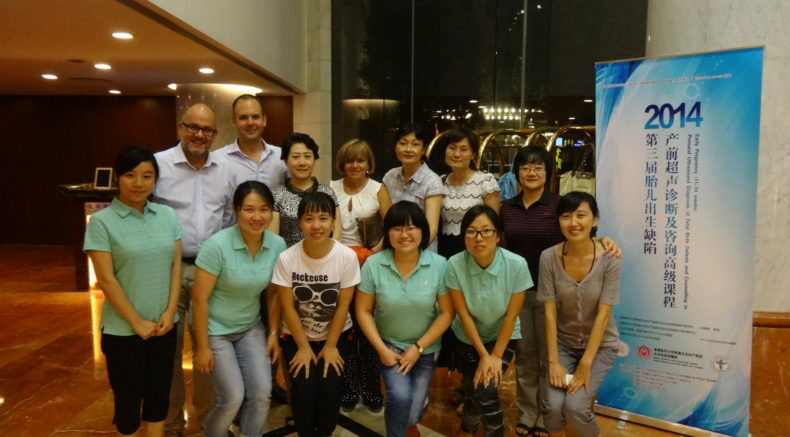 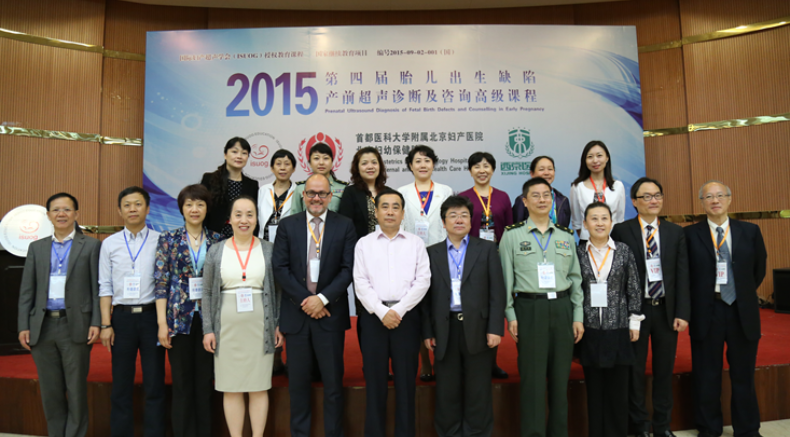 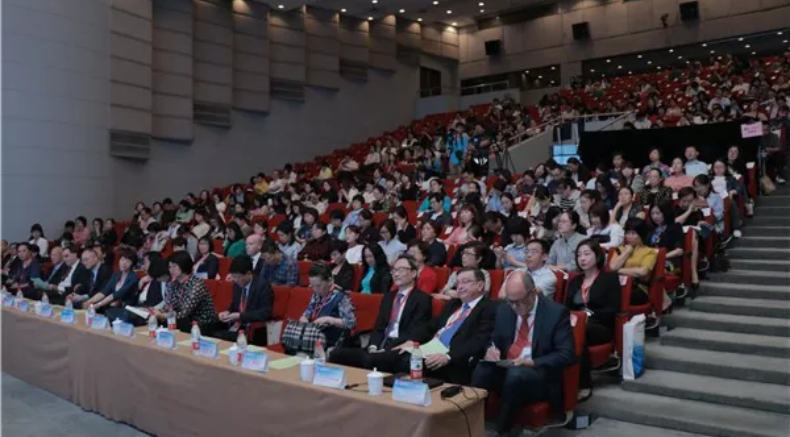 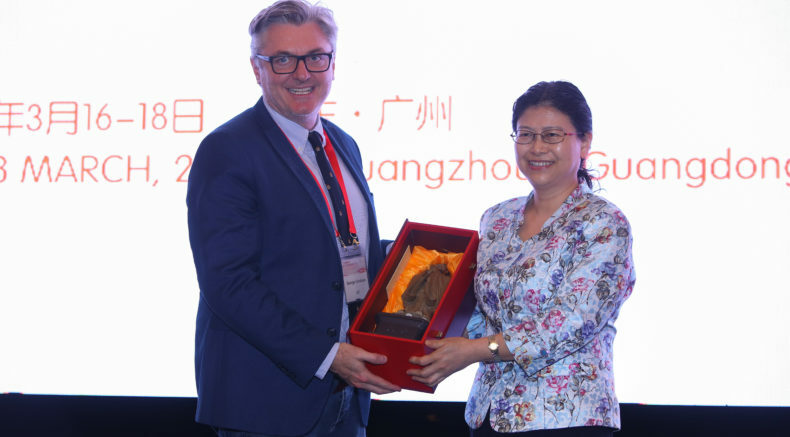 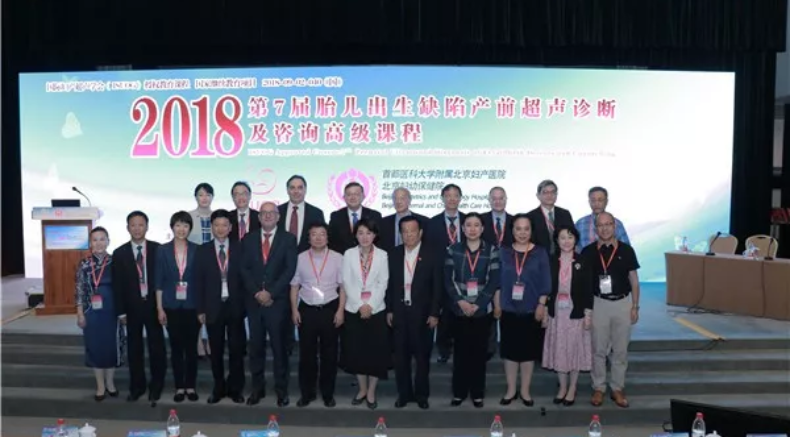 ISUOG Ambassador to China Prof. Wu Qingqing (centre) at the '7th Prenatal Ultrasound Diagnosis of Fetal Birth Defects and Counselling', 11-13 May 2018. 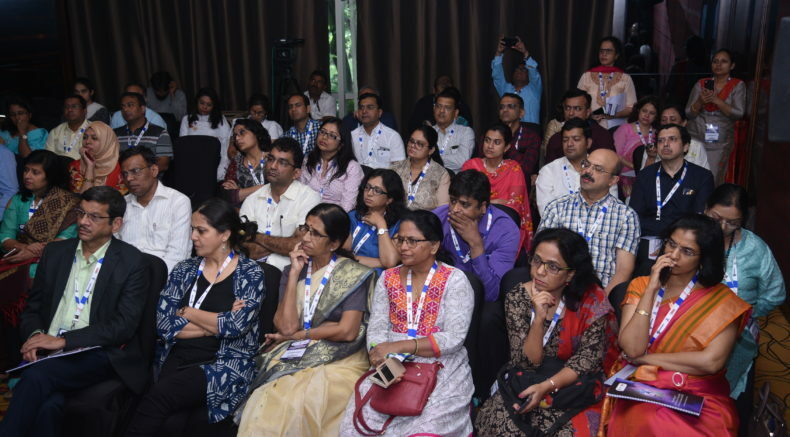 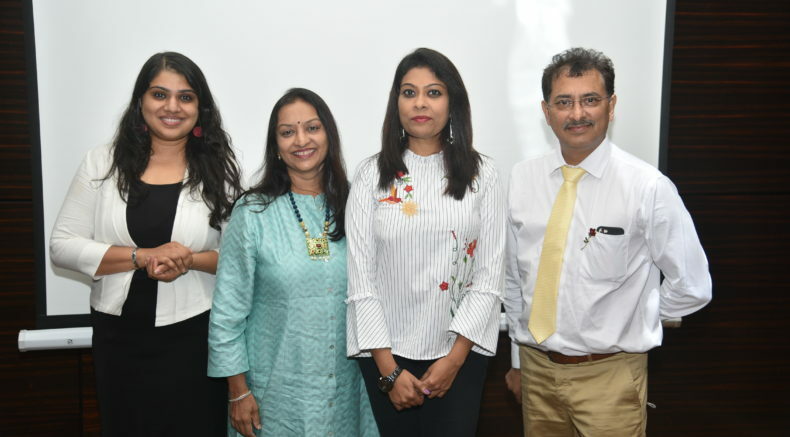 Delegates of the ‘7th Prenatal Ultrasound Diagnosis of Fetal Birth Defects and Counselling' on 11-13 May 2018. 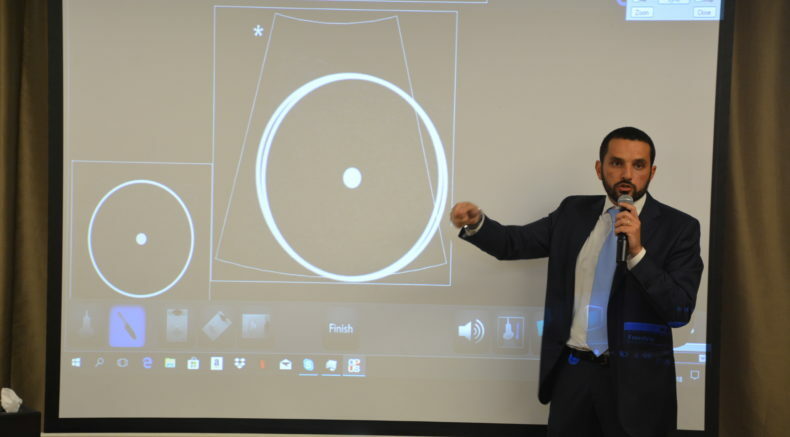 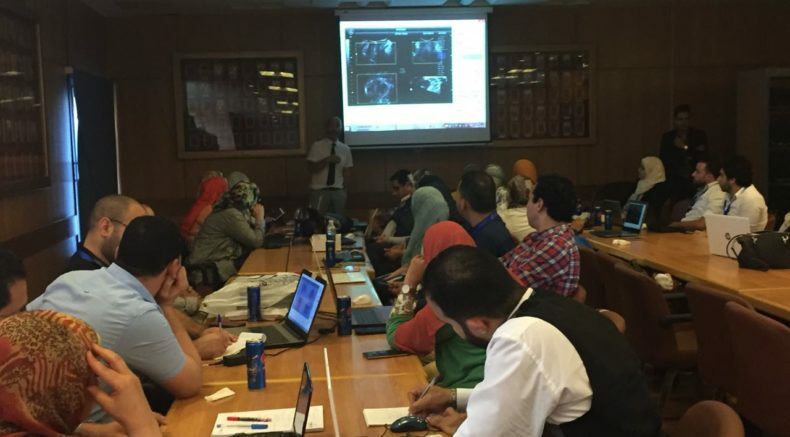 ISUOG Ambassador to Egypt and North Africa Dr Aly Youssef speaking at the 'Practical Course on Female Pelvic Floor Imaging', 12-13 May 2018. 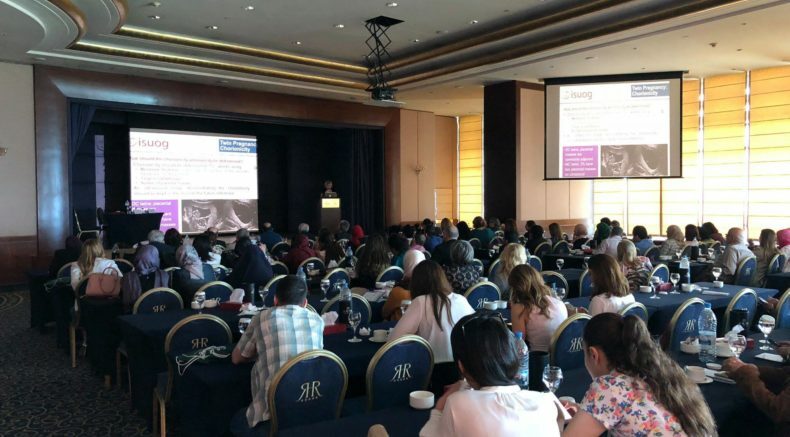 ISUOG Approved course: 'Practical Course on Female Pelvic Floor Imaging', 12-13 May 2018. 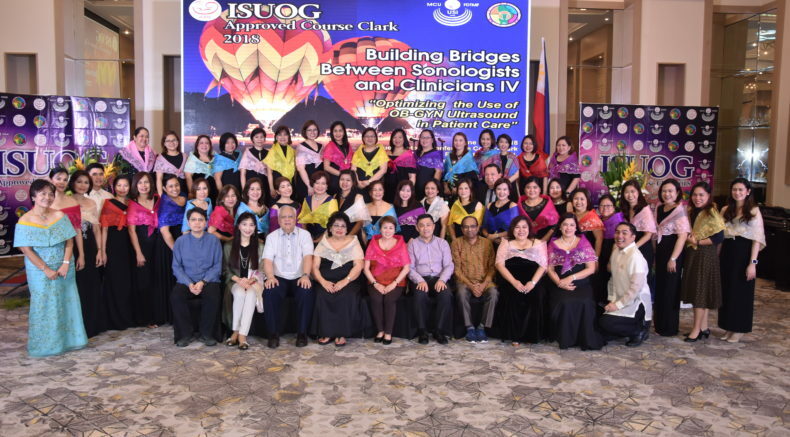 Delegates of the ISUOG approved course 'Practical Course on Female Pelvic Floor Imaging', 12-13 May 2018. 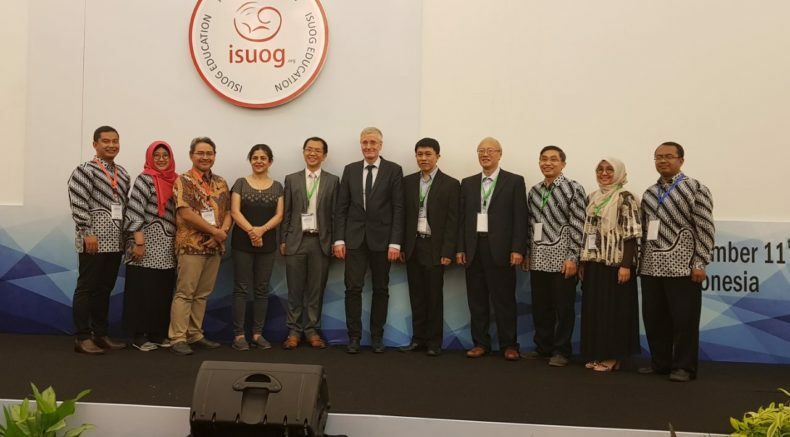 ISUOG Approved Course: Comprehensive Obstetric and Gynecology Ultrasound course, 29-31 March 2018. 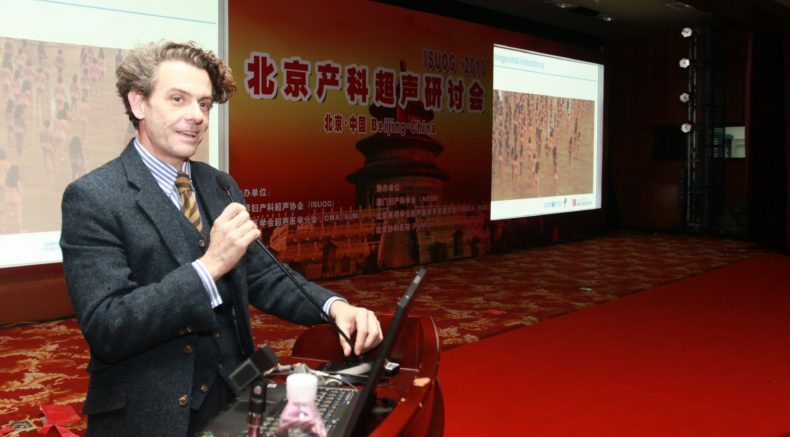 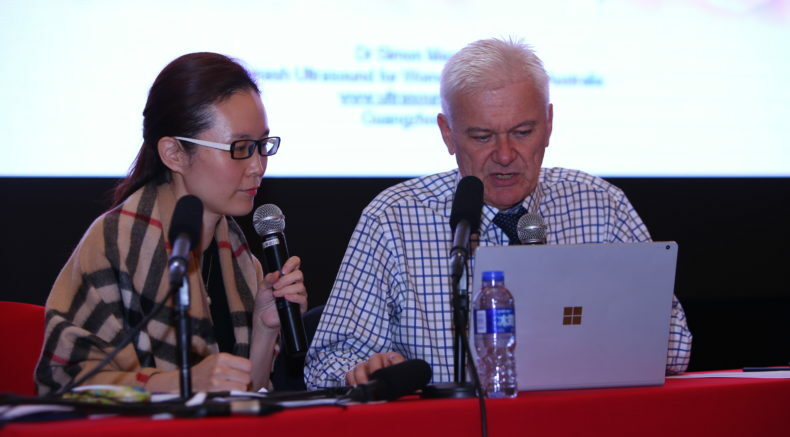 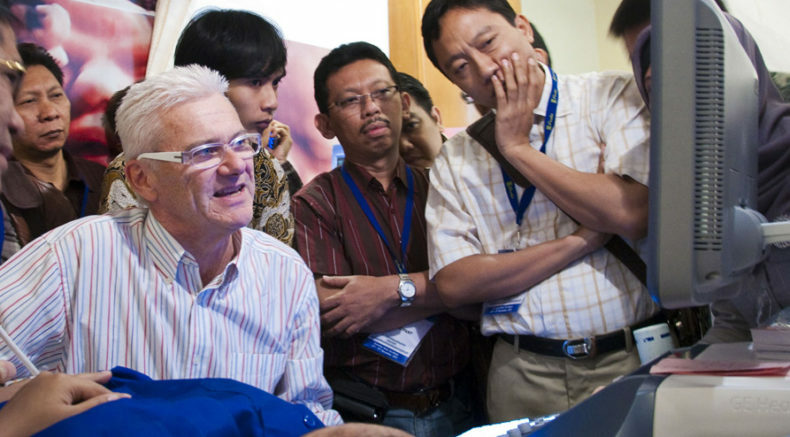 ISUOG Ambassador to Asia and Pacific region Dr Simon Meagher speaking at this ISUOG Approved Course: Updates on ultrasound in early pregnancy and first trimester, 17-18 March 2018. 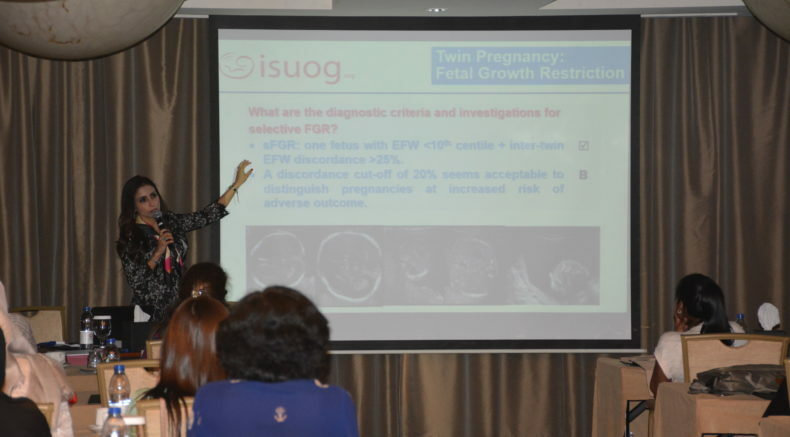 ISUOG International Faculty member Prof Yang Fang speaking at this ISUOG Approved Course: Updates on ultrasound in early pregnancy and first trimester, 17-18 March 2018. 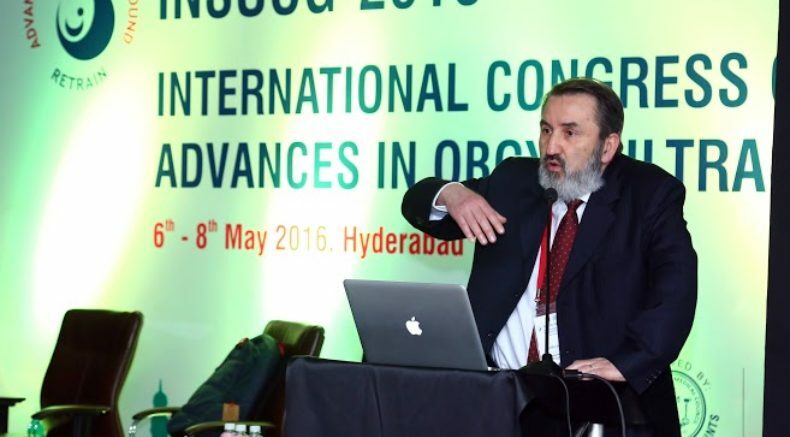 ISUOG International Faculty member and 28th World Congress chair Prof. George Condous at this ISUOG Approved Course: Updates on ultrasound in early pregnancy and first trimester, 17-18 March 2018. 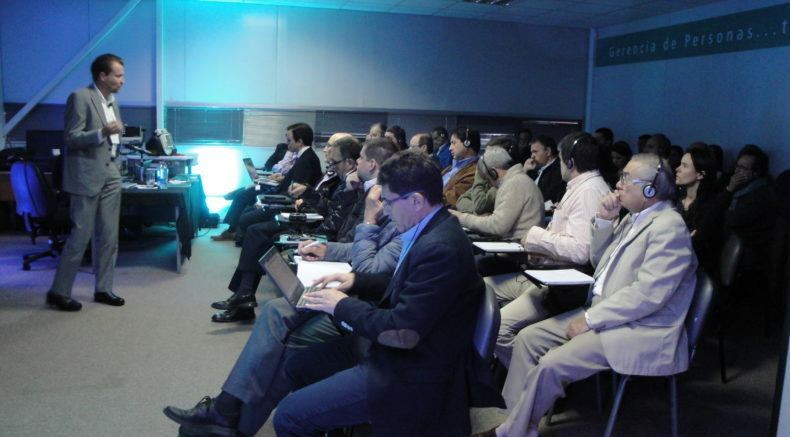 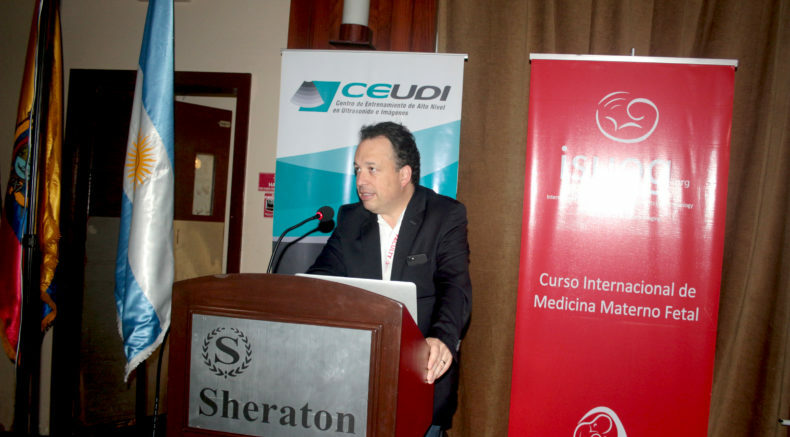 Dr Waldo Sepulveda, INSUOG, 6-8 May 2016. 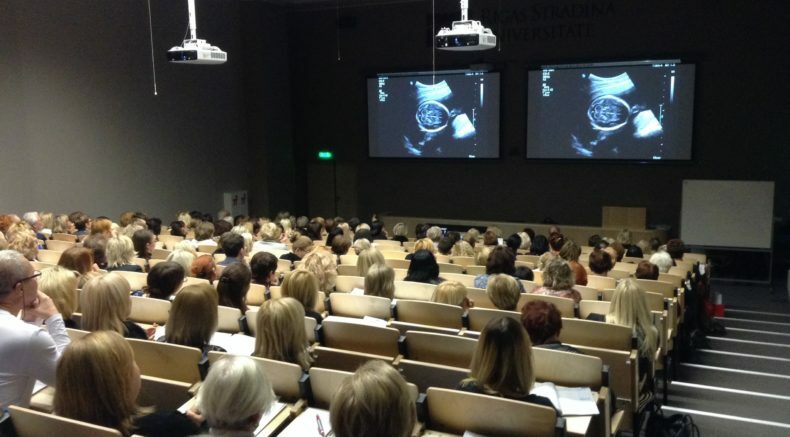 Down Syndrome screening, Congenital anomalies, Fetal Echocardiography, 23-24 January 2010. 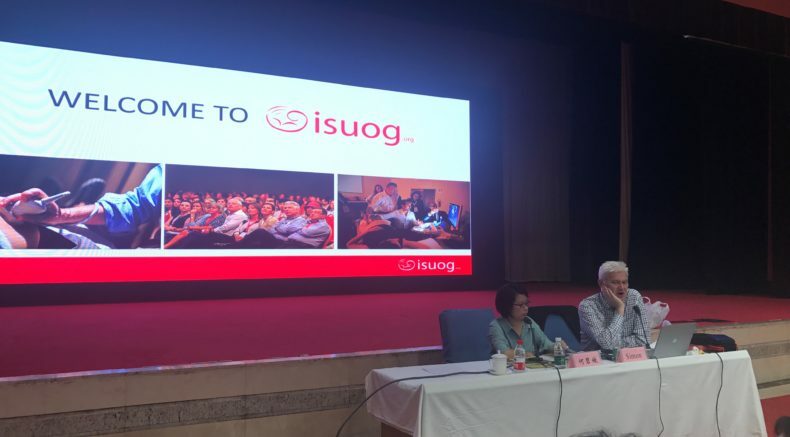 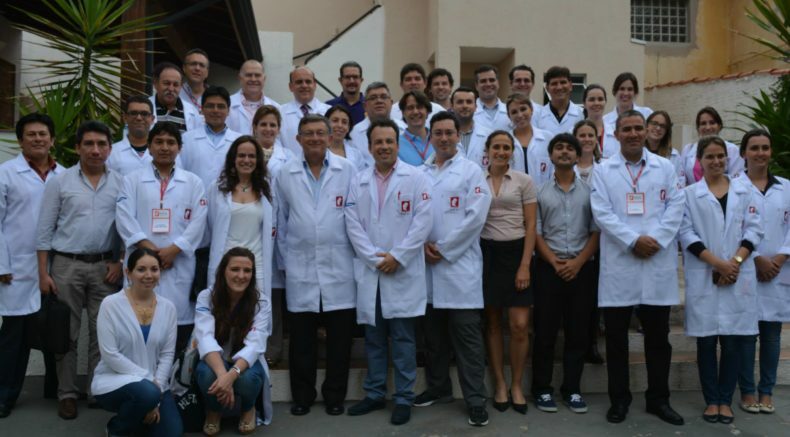 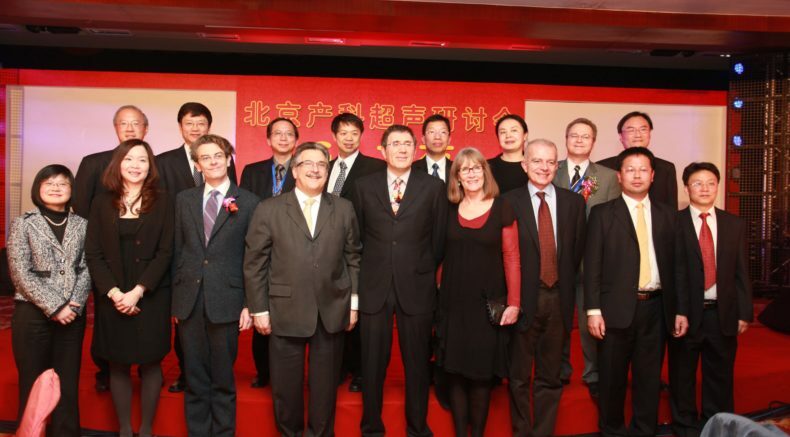 The ISUOG teaching faculty included Yves Ville, Larry Platt, Gianluigi Pilu, Ann Tabor, Dario Paladini and George Yeo. 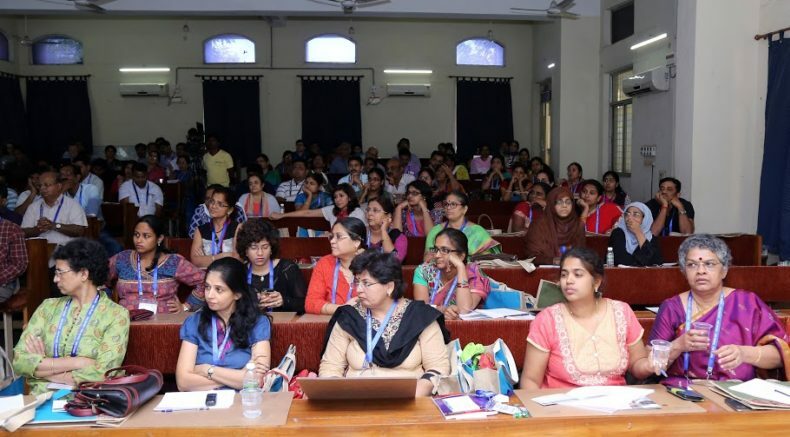 Find below details of upcoming courses. 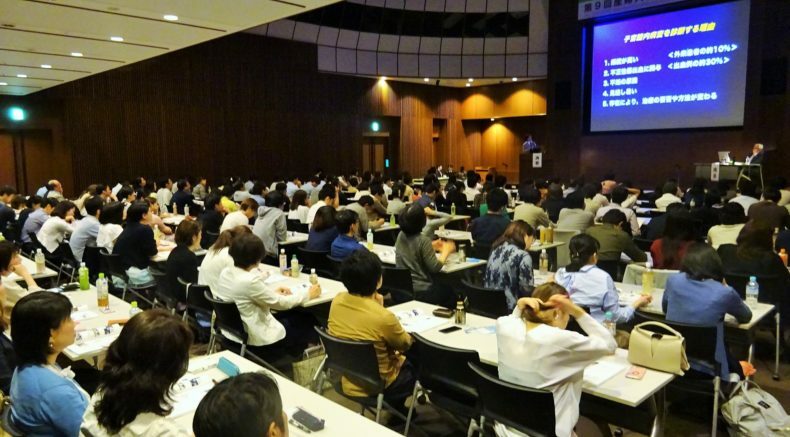 For more approved courses, please see the events calendar.